I stumbled upon this video by Erick Mendonça in the list of related videos when answering a comment on my own video about the SPL GoPro Dome housing and pistol grip, it’s in Portuguese (but even I understood the apology for poor audio at the start) and it’s 17.5 minutes long, so you might want to skip to the highlights below. 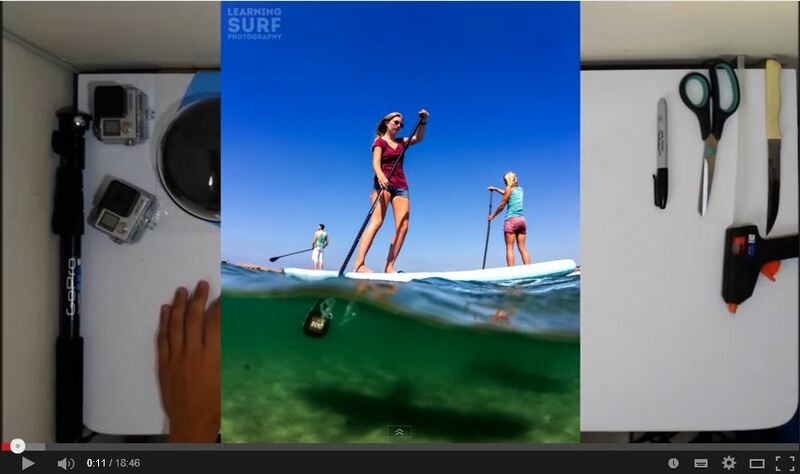 Usually I would just post the video but I did notice one of my own photo’s appearing at the start of the video as an example (it was taken with a Canon 70D and a Tokina 10-17mm fisheye in an Aquatech housing with 8″ dome port, read more about it here), and the majority of my readers don’t speak Portuguese, so just in case anyone sees my watermark and finds this site I thought I’d go into some detail about his process for you. I would really like to see how well this stands up to use in the sea, there’s obviously no way to then attach the housing to any kind of pistol grip or pole, and you have to activate the camera through the rubber balloon, so holding it securely, keeping it level and operating the top button could be a challenge. All in all though it’s a very cheap way to get a GoPro in a dome housing, and the balloon idea is ingenious, I expect it would leak pretty quickly in waves of any size but at least your GoPro is in it’s housing inside there so it shouldn’t flood the camera. The main worry I would have is the whole dome filling up and the thing sinking, so I’d probably go for a red or orange balloon if you can get one just in case. If you’ve tried this or any other DIY GoPro design let me know in the comments, I’d be interested to hear about it. Your version sounds really interesting, I’ve replied to your e-mail now, looking forward to hearing more about it and getting something up on the site so others can see your design. Looks great! Where did you get the Acrylic dome from? Thanks, i’ll look into it, but where did you purchase your acrylic dome from?